Resurrection Life Ministries is an inter-denominational fellowship founded in April 1995 with the vision of bringing unity to the Body of Christ. 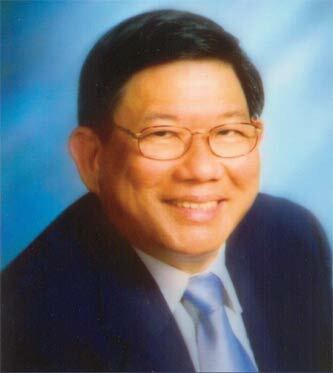 Dr. Sim Choo Jek is the Founder and Pastor of Resurrection Life Ministries, an interdenominational Fellowship for Discipleship and Leadership Training. A former dentist, he founded the Full Gospel Men’s Fellowship in Melaka, Malaysia where God brought revival, especially among the professionals. The Lord directed Dr. Sim together with this wife and four sons to emigrate to Australia in 1987 where he helped establish several fellowships. Resurrection Life Ministries was birthed in April 1995 with a clear vision to bring unity to the body of Christ. Dr Sim travels and ministers widely in Asia and Australia. He carries a strong teaching, prophetic and apostolic calling which has enabled him to help build up churches and ministry leadership. God has given Dr. Sim great insights concerning finance which have blessed many churches and believers enabling them to be released and advanced in financial understanding.